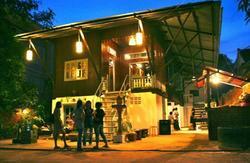 Siem Reap Holiday Garden Villa is a brand new villa type hostel owned and managed by an Australian guy called Brian. 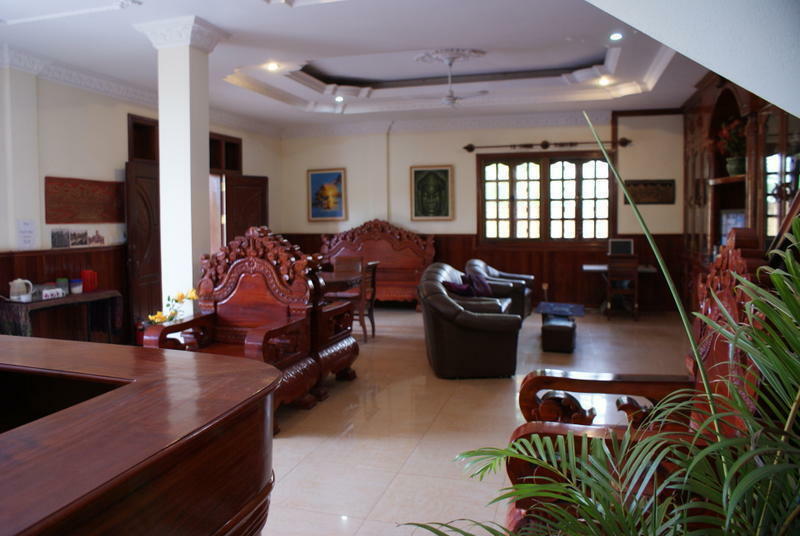 The villa has been designed and set up especially for travellers who are looking for something a bit more up market then a guesthouse at affordable prices. 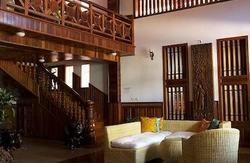 Our villa is ideal for couples, solo travellers, families and groups of friends. We have a breakfast area on our front patio where you can have breakfast or relax throughout the day. Our hostel has 6 immaculately clean spacious rooms including air conditioned and fan rooms and 1 dorm style room that accommodates 6. All rooms have private ensuite bathroom, hot showers, fans and cable t.v. 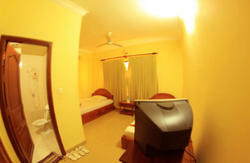 We have rooms that sleep from 1 person to 5 persons. We have FREE WIFI in our villa. We can arrange bus tickets to Phnom Penh, Sihanoukville, Bangkok, Ho Chin Minh, Battambang, Poipet, Ko Chang, Pattaya, Kompong Cham, Kratie, Kampot and Kep. We also arrange boat tickets to Phnom Penh and Battambang. If you require long distance taxis to/from Poipet then we can arrange them for you plus taxis to other destinations like Phnom Penh and Battambang. We can also arrange all types of Angkor tours, Siem Reap tours, Cambodia tours, cycling tours, photography tours, golf tours, quad bike tours and especially group tours. We can arrange trips to Beng Mealea, Kbal Spean, Koh Ker, floating villages and lots more. Below are some of the day trips we can arrange with or without a tour guide. Angkor Wat, South Gate, Bayon, Terrace of Elephants, Terrace of Leper Kings, Takeo, Ta Prohm and Banteay Kdei. Prasat Kravan, Pre Rup, East Mebon, Ta Som, Neak Pean and Preah Khan. Kbal Spean (1,000 Lingas), Banteay Srey, Landmine Museum, (optional), Banteay Samre, Ta Prohm, Ta Keo, Angkor Thom, Terrace of Elephants, Terrace of Leper Kings, Bayon and Angkor Wat. Banteay Srey, Landmine Museum, (optional), Banteay Samre, Pre Rup, East Mebon, Ta Som, Neak Pean and Preah Khan. Banteay Srey, Landmine Museum, (optional), Banteay Samre, Ta Prohm, Ta Keo, Angkor Thom, Terrace of Elephants, Terrace of Leper Kings, Bayon and Angkor Wat. Banteay Srey, Landmine Museum, (optional), Banteay Samre and Roluos Group. Angkor Wat, South Gate, Bayon, Terrace of Elephants, Terrace of Leper Kings, Takeo, Ta Prohm and Banteay Kdei plus return transport to the floating village of Chong Khneas. (NOT boat ticket). Prasat Kravan, Pre Rup, East Mebon, Ta Som, Neak Pean and Preah Khan plus return transport to the floating village of Chong Khneas. (NOT boat ticket). Angkor Wat, South Gate, Bayon, Terrace of Elephants, Terrace of Leper Kings, Takeo, Ta Prohm and Banteay Kdei plus return transport to the floating village of Kompong Phluk. (NOT boat tickets) and Flooded Forest. Prasat Kravan, Pre Rup, East Mebon, Ta Som, Neak Pean and Preah Khan plus return transport to the floating village of Kompong Phluk (NOT boat ticket) and Flooded Forest. Return transport to the floating village of Kompong Phluk (NOT boat ticket) and Flooded Forest. Roluos Group (optional) on way back to Siem Reap. Beng Mealea (Jungle Temple), transport to the floating village of Kompong Khleang. (NOT boat ticket). Roluos Group (optional) on way back to Siem Reap. Beng Mealea (Jungle Temple), transport to the floating village of Kompong Phluk. (NOT boat ticket) and Flooded Forest. Roluos Group (optional) on way back to Siem Reap. Transport around the town to visit museums, markets and other attractions. Due to the changing tax laws in Cambodia there is an additional 10% tax charge (VAT) that is not displayed on your booking engine. This will be directly charged to your room. Siem Reap Garden Holiday Garden Villa is around a 5-6 minute walk from Pub Street and Old market area or a 2 minute tuk tuk ride. We strongly recommend you take our pick up service when staying at our villa. We email every customer once they make a reservation with us to ask for your arrival details.